Hello! I’m Dan Frommer, a Brooklyn-based writer and designer. I’ve been running this site in some form since 1995, when it was called FromeDome’s Page From Hell. Here, I post links to my projects, photos, and short articles that wouldn’t make much sense elsewhere. You’ll also find the archives for SplatF, a tech news site I published from 2011 to 2014. More about me: I’m working on some new projects in the media industry that I’ll talk more about soon. I was most recently the Editor in Chief at Recode, the tech and business news publication from Vox Media, and before that, the tech editor at Quartz. I also publish Points Party, a newsletter about travel and credit card points, frequent-flyer miles, and loyalty programs — sign up for free! 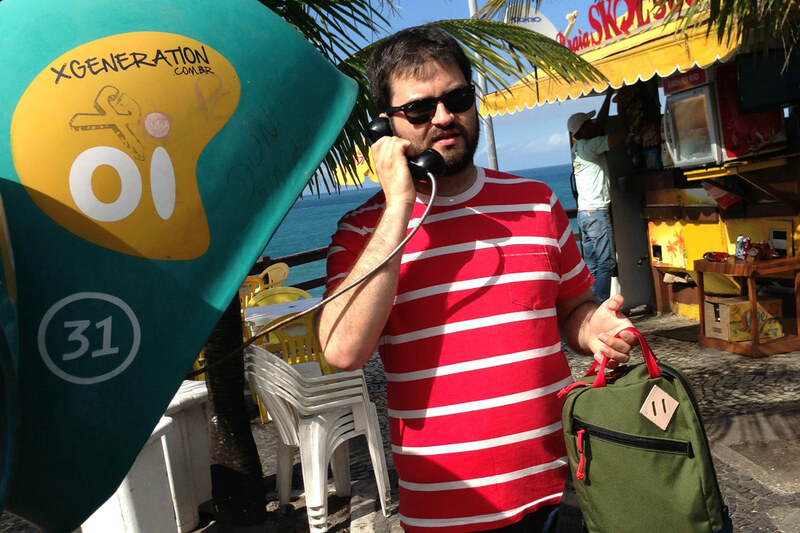 And I host a podcast, The Needle & The Mouse, with my wife Lauren Sherman — who shot this zany photo of me in Rio. Previously, I helped create Silicon Alley Insider in 2007 with Henry Blodget and Peter Kafka, which grew to become Business Insider. There, I did everything from reporting (5,700 posts) and editing to coding early versions of the site. Wired and the New Yorker wrote about our work. Before that, I was a technology reporter at Forbes, focusing on mobile and telecom. And before that, I studied at Northwestern University’s Medill School of Journalism, where I hosted a late-night radio show called Fromming at the Mouth. The best place to find me is on Twitter, where I’m @FromeDome. I’m also on Instagram.